The financial industry faces a uniquely challenging scale and scope of cyberthreats. Effective cybersecurity is therefore a “must-have” in finance. 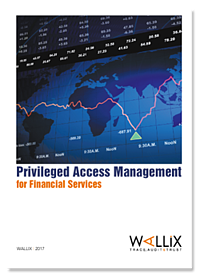 Many countermeasures are needed, but Privileged Access Management (PAM) is arguably one of the most important. Given privileged users’ back end access to critical systems and the need to withhold extremely sensitive data, it is essential to control and monitor what these users can do. This paper explores how PAM helps financial services firms defend their digital assets as effectively as possible against cyberthreats.